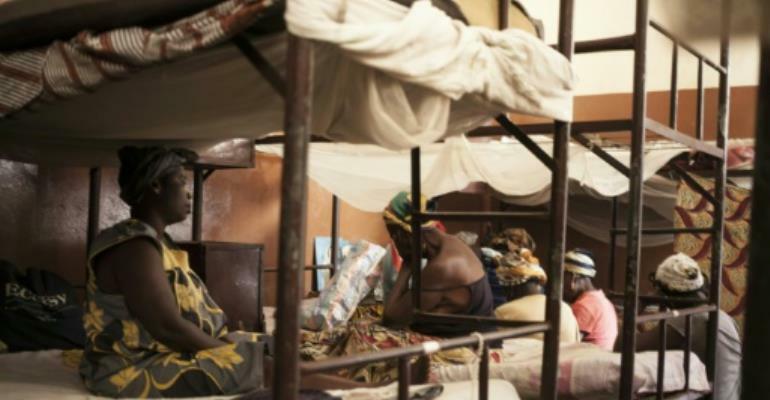 Among the bunk beds in a dimly lit cell deep inside a women's prison near the Central African Republic capital Bangui, religious murmurs take on an almost mystical aura. Huddled around a cluster of icons, inmates jailed for "practices of charlatanism and sorcery" (PCS) pray the rosary, mustering the last of their strength as if the only recourse left to them is the divine. 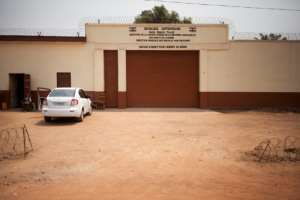 Almost half of the 42 women held in the Bimbo prison facility have been accused of PCS, listed as a crime on the statute books in the poor central African country. "It's because of my sister Nina that they brought me here. I don't recognise the deed for which I'm in prison," said Sylvie in the jail's main courtyard, where detainees prepare meals, dry their washing and watch over their children. "My sister's husband died because he was poorly cared for and my sister caused trouble for me," Sylvie told AFP in the shadow of walls topped with barbed wire. Her innocence is not in doubt. Nina even came to apologise for what she had done, but that was insufficient. Sylvie is still awaiting trial after more than a year behind bars. Her story is like that of many others when death or illness afflicts a family. Whether out of sincere conviction or with malicious intent, a family member accuses a relative, a neighbour or someone else of practising witchcraft to cause trouble. "Sorcery always poses a problem in Central African law," says Nadia Carine Fornel Poutou, head of the Association of Women Jurists in Bangui, which runs public awareness workshops on the thorny topic. "It's always mystical, so it's difficult for a judge to reach a verdict," Fornel Poutou told AFP, noting that proof is difficult or impossible to obtain. Women are always first in the line of fire. In the absence of hard evidence, simple accusations are often enough for a conviction. Some people abuse this judicial flaw to vent their jealousy or settle scores, Fornel Poutou said. "The vulnerable people -- women, children and the elderly -- are always accused of sorcery," she said. Bimbo prison director Roger N'Gaka-Passi confirmed that women are primary targets. "You'll find perhaps a score of those women here... There are few PCS cases among men." The phenomenon may result from women entering direct competition with men and challenging the prevailing patriarchal order, argues anthropologist Louisa Lombard in her book "Making Sense of CAR" (Central African Republic). Sylvie is more fortunate than fellow detainees accused of sorcery. After her sister's visit and apology, she can dare hope to return to home once released. "In general, even if women accused of PCS (offences) get out of jail, they run the risk of being rejected by their community, if they escape popular condemnation," Fornel Poutou said. With resigned sorrow, the jurist called up on her computer a photo taken in 2015 at Boali, some 100 kilometres (60 miles) northwest of Bangui. 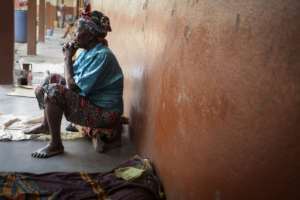 It shows the body of an elderly woman accused of witchcraft who was atrociously mutilated and cut into pieces.